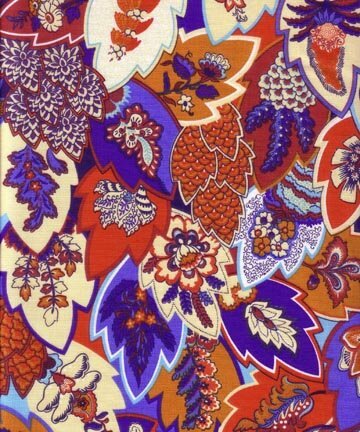 Inspired by Japanese design this French pattern by Marat in reds and blues is approximately 62.5" wide. Perfect for tablecloths curtains bags or quilting! The image shown is approximately 8 inches wide. Has a repeat of 12.5"
100% cotton fabric. Priced per yard. Half yard minimum.